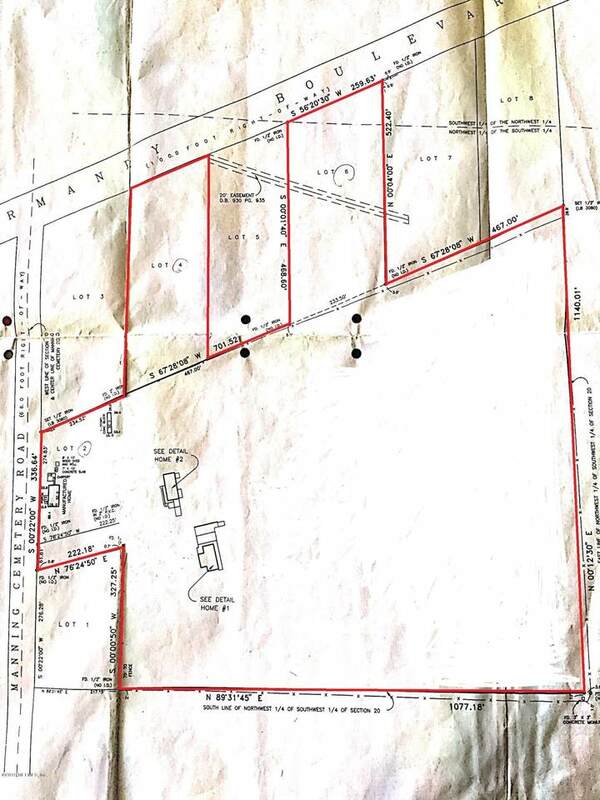 **More acreage and frontage. ** 4 rented Mobile homes on property 950.00 each per month, plus main home. 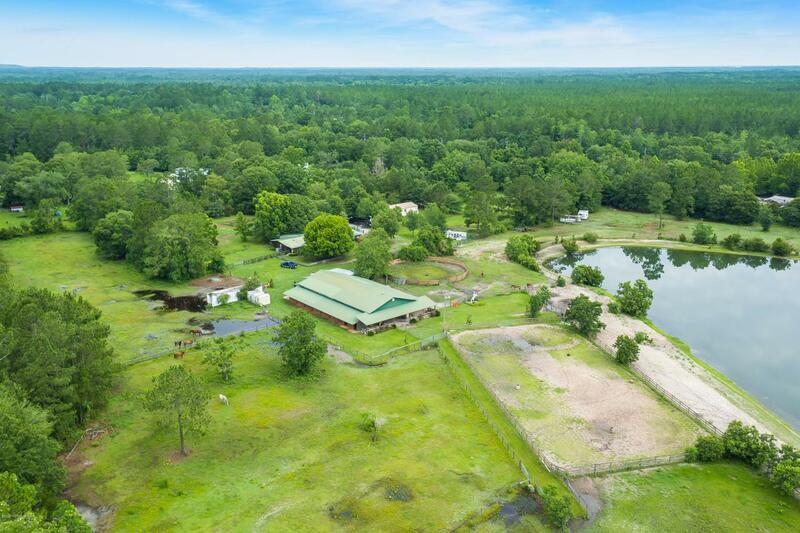 Beautiful 3 acre spring fed pond. Main house and all rentals are 3 bedrooms/ 2 bathrooms, each with private wells and septic. 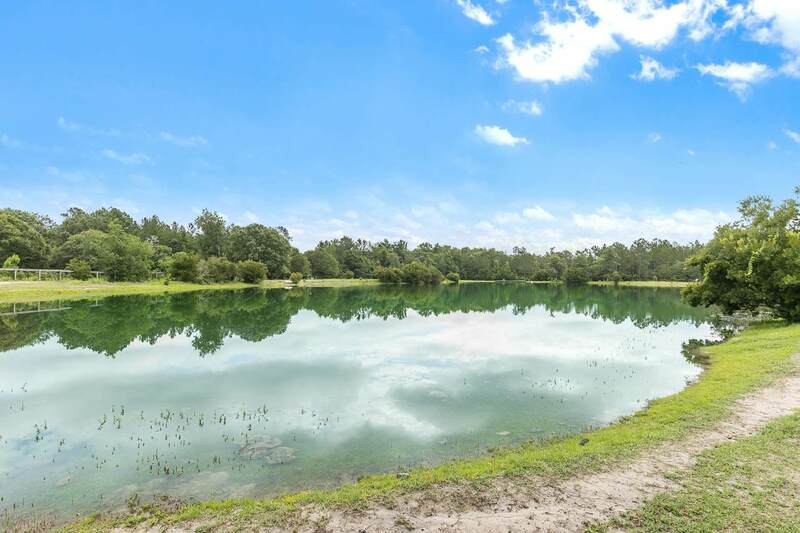 Ride to trails in Jennings State Forest, and just down the road from the Jacksonville Equestrian Center! 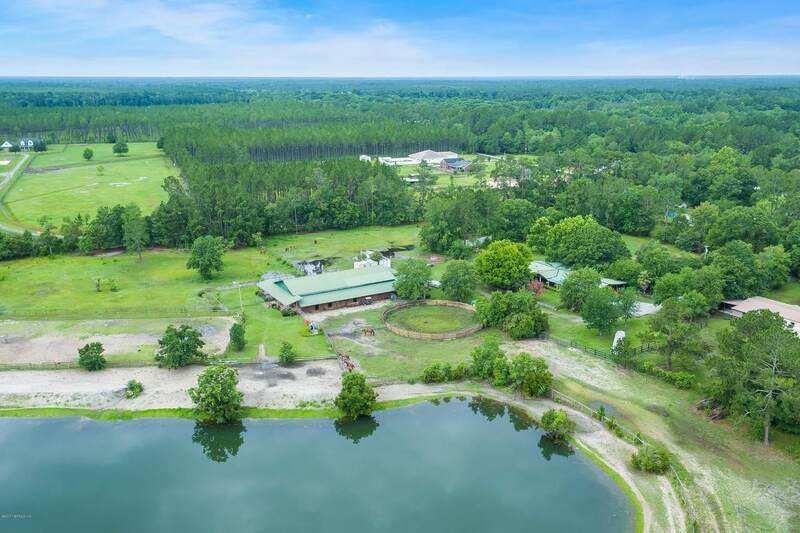 This property has a 32 stall barn, multiple pastures, round pen, Bathrooms, shower facilities for barn area, feed buildings, tack room, wash rack area, multiple outbuildings for storage use.